Now, you can enjoy the thrill of being able to review documents galore without having to let your fingers leave your keyboard… what a production boost, eh !? This is a 2.5 year old post, the links above are broken and not likely to come back online. Apologies for the inconvenience. In addition to the recent Moment and Async docSet for Dash, I have created a third docSet distribution, this time for the cool library Bookshelf which is pretty cool Node.js ORM for PostgreSQL, MySQL and SQLite3 in the style of Backbone.js. I have decided to add all the documentation I’m using to my setup for offline access, for this I’m using Dash (Dash is an API Documentation Browser and Code Snippet Manager). Dash is the same docSet standard used by Zeal (“…a simple offline API documentation browser inspired by Dash (OS X app), available for Linux and Windows”, http://zealdocs.org/). Since the most laborious part of generating a docSet is adding all entries to the searchIndex database (an embedded SQLLite database), I opted for simply embedding the online documentation in an archive and expose it as the docSet in a single resource. Next step would be to create a script that would allow me to extract the different documentation points from the online documentation and add it to the searchIndex, however for now it fullfills my need to have an easy and structured way to access the documentation when offline. 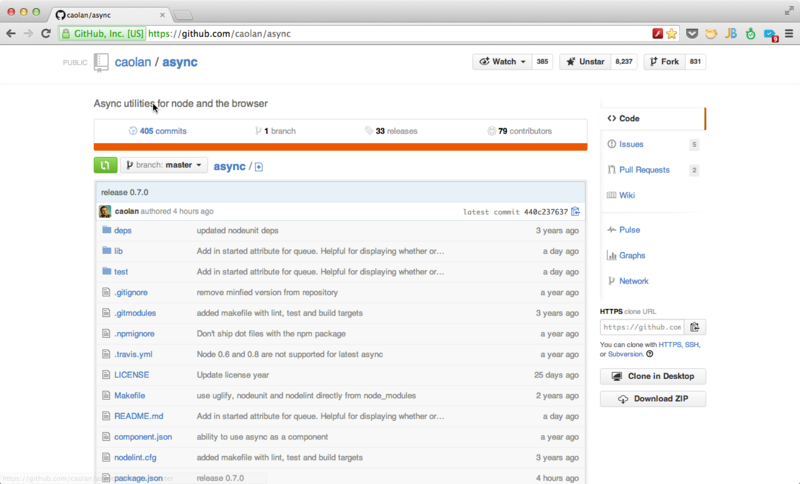 npm is a package manager for node. You can use it to install and publish your node programs. It manages dependencies and does other cool stuff. Secondly, In mac OSX 10.7 compilation fails if you use “make -j n” command , you can use “make”.